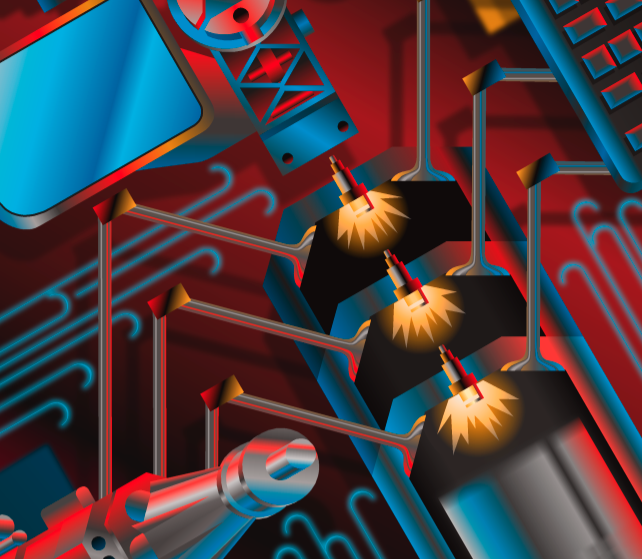 Digital visualization software offers a variety of color environments to suit the needs of illustrators and designers. Each environment has its own purpose and uses. Most of us are quite familiar with the color spaces we use. Still, a basic understanding of all of the color options can be useful. 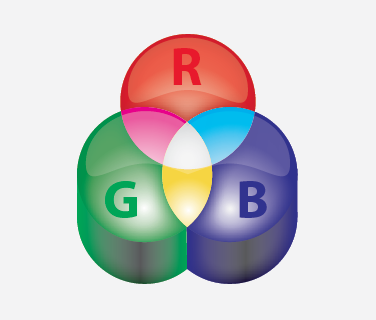 The RGB color model is composed of the primary colors of red, green, and blue. The model, also known as the transmitted model, is an additive color system. Color systems are classified by how the primary colors relate to white. An additive system means that when all three primary colors are added they create white. When two of the primary colors are combined they produce a secondary color. In the RGB system the secondary colors are cyan, magenta and yellow. Color monitors and digital projectors use the RGB system to display color. According to the trichromatic, Young-Helmholtz theory of color vision, the RGB color system aligns very closely to the way the human eye processes color. RGB color model. © 2012 Don Arday. 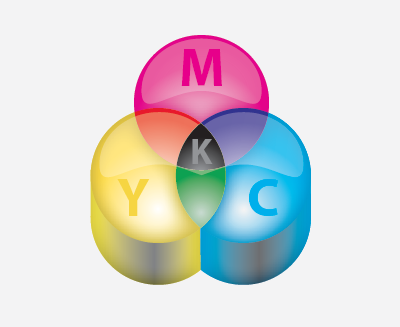 CMYK stands for cyan, magenta, yellow, and black. Not to be confused with the “B” in RGB, black is represented by “K”. 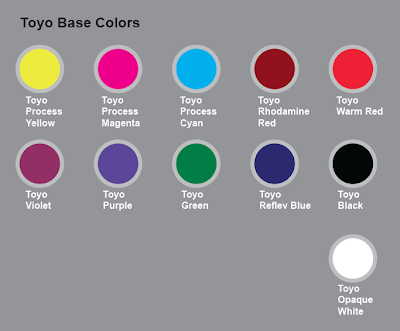 Also referred to as a reflective model, the CMYK system is a subtractive color system. When CMY are combined they create black. White is produced by the total lack of color and a white paper surface. When two of the primary colors are combined they produce a secondary color. In the CMYK system the secondary colors are red, green and blue. This alignment creates compatibility between the CMYK and RGB systems when creating work for print output on a monitor system. CMYK color model. © 2012 Don Arday. HSV is the acronym for hue, saturation and value. This color model is also called HSB or hue, saturation and brightness; and HSL or hue, saturation, and lightness. 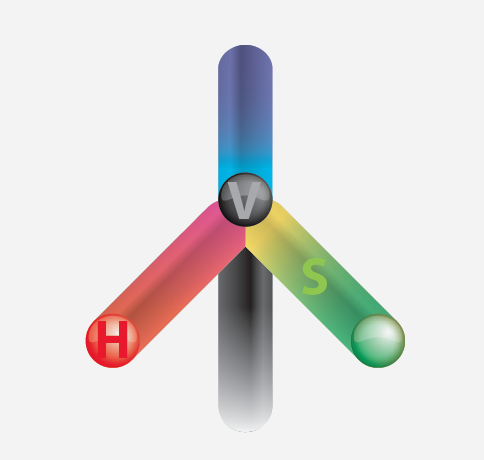 Very familiar to illustrators, the HSV model is based on standard artists color theory. Although not specifically relating to display hardware or printing equipment, it is an available color model in many image software programs as a more intuitive system for use by artists. The “hue” is a color. For instance, the color of sky on a clear day is a blue hue. Every color is a hue. The “saturation”, also called chroma, is a variation in intensity of a color. It is the amount of grey proportionate to the hue. Saturation can be used to alter a hue. The “value” is the amount of lightness or darkness in a color. Brightness can also be used to alter a hue. HSV color model. © 2012 Don Arday. Lab is an acronym. 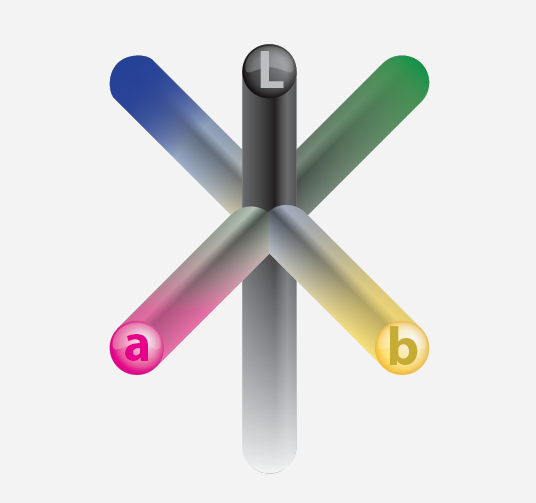 The “L” stands for lightness; the “a” signifies the range of opposition between green and magenta; and the “b” signifies the range of opposition between blue and yellow. Starting at a neutral center greens are negative values while magentas are positive values. Similarly, blues are negative values and yellows are positive values. 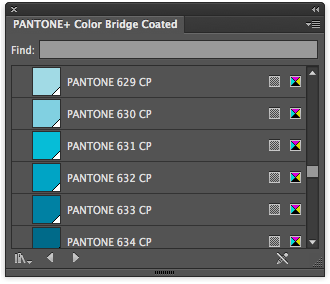 This complimentary color concept should seem familiar to illustrators and designers. A simpler way to understand Lab color is to think of warm colors as positives and cool colors as negatives. 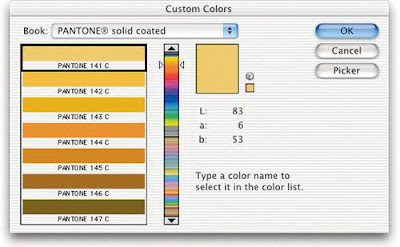 The type of Lab color used in computing is the CIELab model. The CIE stands for the International Commission on Illumination. 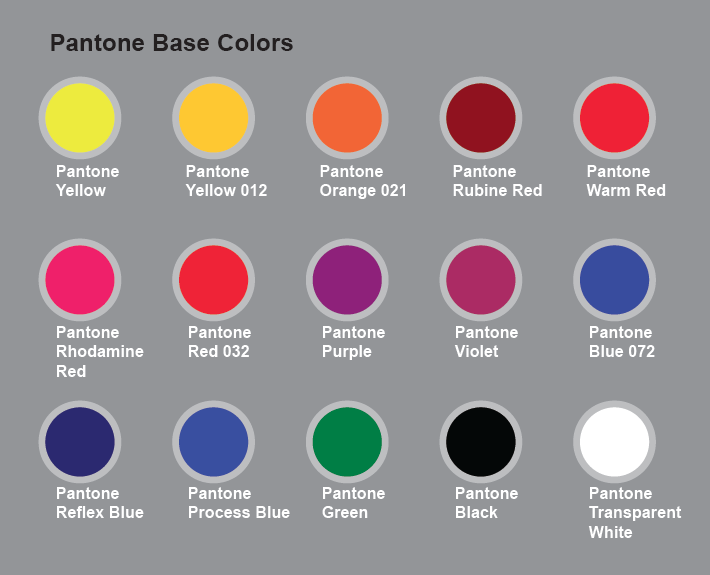 The Lab system is based on the Munsell color system. Basically, the Lab and Munsell color spaces are extruded 3D versions of the familiar “color wheel”. Although an excellent model for helping artists to understand color, the Lab system is not as compatible as RGB or HSV for use on monitors or in software programming due to its complexity. The next time you are working with an image in Photoshop, switch over to the Lab color space just to see how surprisingly different the colors in your image appear. Lab color model. © 2012 Don Arday. The Grayscale model is simply a range of tones between black and none or white. 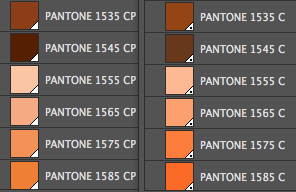 The range in the grayscale model used by Adobe contains 255 shades of gray plus white, and it is an 8-bit mode. Grayscale color model. © 2012 Don Arday. Like the 8-bit Grayscale model, an Indexed Color model is limited to a finite index of colors. There are several Indexed Color models in common use, including a 16 Color model, the PhotoImpact Optimization Palette, the Graphics Interchange Format palette, and others. 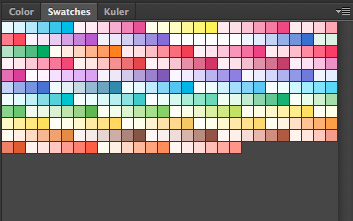 The Standard Web Browser Palette with its limit of 216 colors is an Indexed Color model. The Index color space in Adobe Photoshop is limited to 256 colors. In the case of the Photoshop Indexed Color space, colors in a non-indexed color image are altered to match the 256 colors available. To achieve this each pixel color is shifted to the nearest color in the color palette and then dithered with similar colors to optically mix the non-available colors. There are many misconceptions concerning the use and effects incurred by copyright law. “Copyright Law of the United States”, published by the US government is 351 pages long. Although much of the information doesn’t pertain to visual artists, that which does, is absolute, so it pays to know how copyright effects what we do as illustrators for our livelihood. 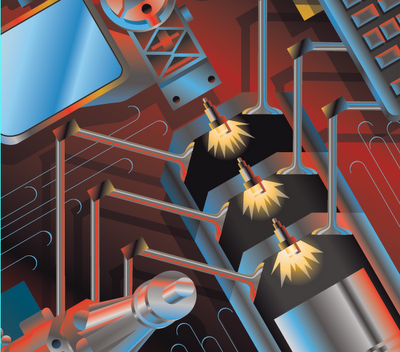 Whether work is created digitally or traditionally the same laws apply. Before April of 1989, copyrighted art had to be accompanied by a copyright notice. 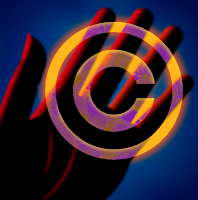 The word “copyright” or the familiar “©” symbol had to be displayed with the artwork. At the present, all art is copyright protected whether it contains the symbol or not. Now that said, use of the word or symbol is recommended. The use of it serves as a warning to possible copyright infringers, in this way, it can authenticate and strengthen the protection of your artwork. 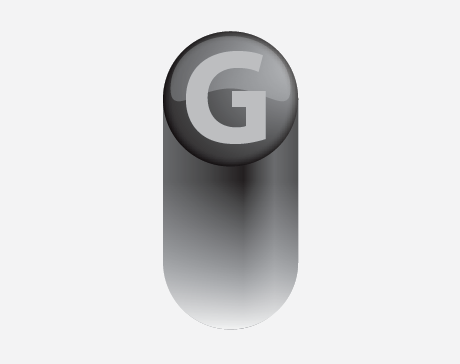 The copyright symbol is available on keyboards by the keystroke <option g> or <alt g>. 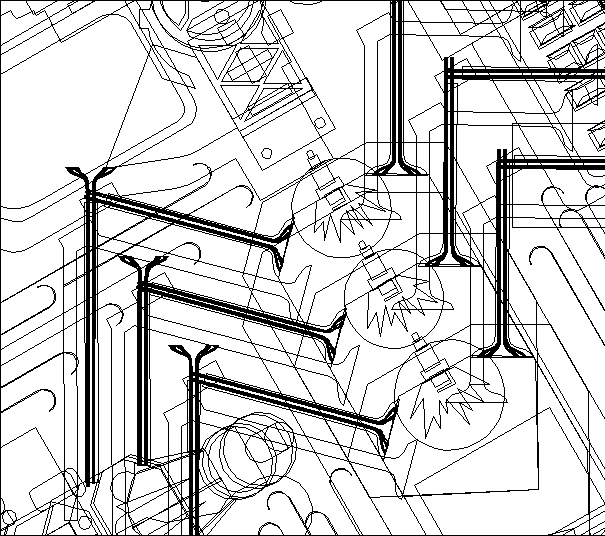 It is also available through the Object Palette in many software programs. The correct form is: Copyright: Date(s): Author/Creator/Owner. The word “copyright, the symbol ©, or the abbreviation “copr” may be used. For digital artists this still applies. A digital painting or drawing illustration created in Adobe Photoshop, Corel Painter, or any other image-based software, is considered a “painting”. Digital drawings created in Adobe Illustrator, Corel Draw, etc., i.e. vector illustrations are “drawings”. Copyright law in small doses falls into the category of “civil law”, meaning that your legal rights as the artist would have to be implemented though the initiation of a law suit. However, large violations involving 10 or more copies with a value of over $2500 is a felony, which falls into the category of “criminal law”. In the case of all art, to display a work publicly means to transmit it. The derivative work concept is perhaps the most misunderstood part of copyright law. The derivative work clause regulates the use of copyrighted reference material. For some illustrators this can have a great impact on the use of reference material. Copyright law supports the making of derivative works, but only by, or through the permission, of the copyright owner. It is highly advisable to exercise caution when using published work as a reference source. As alluded to in copyright law, every photograph, artwork, artifact, etc. is copyright protected. And through the internet, gathering reference copies of images has never been easier. Fan art is a form of derivative art. It is when another artist uses original characters or settings created by the originating artist. For instance, when an illustrator uses Spiderman as a straightforward character in a promotional illustration. This kind of use requires the permission of Marvel Comics. However the parodying or making fun of a copyrighted character or situation does not require permission of the copyright owner. This falls into the category of “fair use”, but it doesn’t necessarily mean you won’t end up in court. This is important to know. Fan art using settings and characters from a previously created work could be considered a derivative work, which means the copyright would be owned by the character/settings originator. So, if I did an illustration of Spiderman, I would not own the copyright of my own work! And, any display of my fan art Spiderman would be an unlawful distribution of a derivative work. A “work made for hire” is a work prepared by an employee within the scope of his or her employment; or a work specially ordered or commissioned for use as a contribution to a collective work; such as a movie, audiovisual work, a supplementary work, a compilation, an instructional text, test or answer material, or an atlas. A “supplementary work” is a work commissioned for publication to support the work of another author. 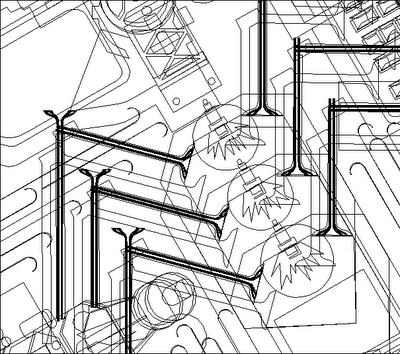 Illustrations commonly fall into the category of supplemental work. Examples of supplementary works by illustrators would be non-self authored commercial editorial illustrations, commercial book illustrations, corporate illustrations, etc. Nearly every commission could conceivably be a work made for hire, but only if agreed upon by the illustrator and the commissioning party. All parties must expressly agree in writing to the “work made for hire” designation. Watch out. It is vitally important to consider the following: If a work is "made for hire", the employer, not the illustrator artist, is considered the legal author and owner of the copyright for the work. Many publishing houses and magazine conglomerates are adopting and enforcing “work made for hire” contracts. This may sound absurd, but bound by one of these “work made for hire” contracts, the original illustrator would have to get permission from the contractor to display or publish the illustration. The right to reproduce the copyrighted work in copies; to prepare derivative works based upon the copyrighted work; to distribute copies the copyrighted work to the public by sale or other transfer of ownership, or by rental, lease, or lending; and in the case of pictorial, graphic, or sculptural works, to display the copyrighted work publicly. Titled the “rights of attribution and integrity”. The right to claim authorship of a work; to prevent the use of one's name on any work the author did not create; to prevent use of one's name on any work that has been distorted, mutilated, or modified in a way that would be prejudicial to the author's honor or reputation, and to prevent distortion, mutilation, or modification that would prejudice the author's honor or reputation. Authors of works with "recognized stature" may prohibit the work from being destroyed. These rights persist for the life of the author. Copyright registration serves to verify the ownership and date of creation of a work of art with the authority of the United States Copyright Office. Registration of a work does not constitute a “granting of copyright”. Copyright is automatically granted when the work created and displayed. However, copyright registration establishes a public record and adds proof of copyright ownership to aid in fighting copyright infringement. The US Copyright Office provides standardized forms. The web locations are linked below. The basic registration fee is ($65) for a single work or a group of works. Two or more individual works can be registered on one application with a single filing fee under certain circumstances, see below. Electronic filings made online through the Electronic Copyright Office or “eCO” are available at a reduced fee for ($35). A group of unpublished works can be registered as a collection if all the elements of the collection are assembled in an orderly form, the combined elements bear a single title identifying the collection as a whole, the copyright claimant for each element in the collection are the same, and all the elements are by the same author or, if they are by different authors, at least one author has contributed copyrightable authorship to each element. All of these conditions must be met and works registered as an “unpublished collection” will be listed in the records of the Copyright Office only under the collection title. For published works, all copyrightable elements that are included in a single unit of publication and in which the copyright claimant is the same can be considered a single work for registration purposes. An example would be a children’s book with multiple illustrations. The information in this post is provided for educational purposes only. It is not intended to replace or substitute for professional legal advice.